UPDATE: We are excited to announce that we have just released the new version of JotForm PDF Editor. 1. Go to your MY FORMS page. 2. Click the form where you need to download your submissions. 3. Click the SUBMISSIONS button. If you'd like to download your submissions partially, please proceed to STEP 4. This may apply to those who are experiencing download issues due to a very high number of submissions. Else, proceed to STEP 6. 4. On the Submissions Page, click the GEAR icon. 5. Pick a TIME FRAME upon your discretion. You can also use a CUSTOM TIME FRAME to limit the date range of your submissions. This allows you to get a smaller batch of submissions for easier downloading. 6. Once you're done, click the EXCEL, CSV or PDF button to start the download process. NOTE: We have added a new mode to let the system check your form submissions count and download submissions by batch of 5000 per queue. You will see a popup dialog about this process, so just follow the steps listed on the popup. Questions? Please write it in the comments section below. I've shared a report's link to people who submit to my form. However, it seems that the report file (excel) can not be downloaded from android smartphone. However, ff the submitter fill the form using browser in PC and access the report link, the download can be performed perfectly. Do you have a solution for this issue ? Can this download be set to automatically download and send this week's file to me? If not, that feature would be a great add. Please help me. My subscription will end midnight today and the submissions that I can download is from December 6 to 13. I cannot view the submissions from November 15 - December 5. I paid for a month's subscription and jotform is only giving me a week's submission. I felt shortchanged. I paid for one month data and I'm only given a week's report. By midnight everything will return to zero submission and I cannot even access it tomorrow. okay so now i have found the download PDF BUTTON however it downloads to an encrypted file with all the submissions in 1!!! very frustrating! help i am able to view my submissions as PDFs but cant see how to download the files! any advice? I still can't batch print my 412 notes. Only one at a time comes up. I have downloaded my submission in the PDF format, and I get a message that I will receive an email notifying me when the ZIP FILE is ready. I have done this repeated times, over the last 7 hours. Is this option working yet? I've downloaded my submissions in PDF format but it is not in my Downloads folder so where is it please? I want the data from a widget in separate columns. Right now, all the different answers are coming together in one column. Any way to get the data in the required format? Or alternately, is it possible to have the add function for a set of questions outside a grid? Our form entries are delivered directly to dropbox as PDF. Any possibility to have the delivery also in the Excel form? Thanks. is there a way to download file in correct file folder save with client first and last name? instead of ID number? Is it because i have free version? This export does not sort my data into columns for multiple registrants. For example, all cell phone numbers do are not listed in one columns. Instead they are spread out in a column for each entry. For 15 registrants, with three pieces of information that is 45 columns with one piece of information in each. Is there a work around that it will sort into three columns? I've used JotForm for a few years with no problems, mainly to take in inscriptions for a summer music workshop with about 70 participants. This year we have 68 submissions but there's a problem with the Excel download. If I click on the "download" button it downloads ok (the download appears bottom left on my screen) but when I open the download only the Excel app opens, without any document. Tried several times without success. Where do the downloaded spreadsheets go? No options and don't know what the filename is so difficult to find on a large crowded drive. Thank you. I figured this out after I sent the email. But appreciated your quick respond. Thank you. I have four active forms and about 8-10 submissions for them. I need an explanation about the 5000 per queue topic. Even if you have stored every submission for every form I have ever made it would not reach 5000 I think. where does the excel file download to? I can't find it. Can I ad a filed to download the submission as CSV or Excel? So a user gets a CSV/Excel file? i have integrate the form with google drive, so i want the submission form in excel(send to google drive)...how to do so??? Is there a way to download each response as a separate PDF file? Olá, gostaria de saber se existe uma forma de meu formulário respondido ficar em apenas 1 folha quando eu fizer o download em PDF? E a foto sai muito grande, daí ocupa um espaço muito grande na folha, utilizando duas folhas, sendo que uma seria ideal... Aguardo e agradeço! is there a way to partially download your submissions to Excel with a date AND TIME range? EX: 1/20/15 @ 6:00AM through 1/27/15 @ 6:00am. I tried putting 0600 after the date but nothing happened. I have over 650 responses to a 100 question survey and it would really use to be able to filter reports and/or downloads by different fields. For example, each form includes demographic information like age-groups, gender, address (house number & postcode), etc. as well as the survey questions themselves. Ideally, I would to produce reports that have been filtered by each of the demographic fields. PS The current 'filter' allows partial downloads by time slots and gives the user the opportunity to select which fields to include in the download - could we have a quick way to select/deselect all fields? At the moment the default is All Fields which, if like our form, means having manually deselect a choice of over 100 fields if we are only interested in one or more specific fields. Can I create a report based on only a portion of the submissions? I can't download my forms to an Excel doc. It says there is an error in download .Is it worcking? 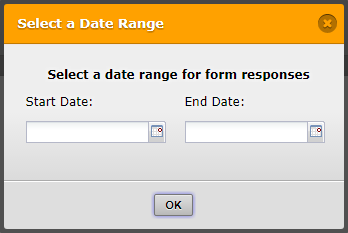 Can an image be created from the completed form and be set up to auto-download and transfer to a secure server at the time the submit button fires? And can the data from the form be downloaded as a CSV file and downloaded at the same time as the image? After I perform a search in submissions, can I or why can't I, only download those results in an excel file instead of all submissions? can I view the submission in the layout I created and print it out? I work with psychiatrists and need to have it very readable and can the dr then type notes along side their answers? Oops. Answered my own question after searching around in the forum. Brilliant solution, more that I was asking for. Well done guys. What would be really neat for me would be to allow people to view a table of submissions online. Or have I missed a feature that's already there? To be effective I'd want to make this table publicly available on my site but I'd want control over which columns are displayed. What would be really wizzy is if I was able to set up a report and then have it automatically update an excel or CSV in my dropbox folder. What if I want the report to show up as a drop down form. I have a rating site that I want the review page to have a drop down to see the reviews and a drop down to create a review. Is there a way to have the reviews update along with the people taking the reviews as well as show up on the same page? How to get a console report from most common browsers? How to include submissions as PDF attachment in the email notifications? How to use Notification and AutoResponder emails in HIPAA accounts? How do I Prepopulate an address field? Import App: How to format address data of address field? Address Field : How to send data on different cells when generating an Excel report ? Are there other formats for the output from JotForm? Why when I try to download my reports on an excel file it says "502 Bad Gateway"?? ?